Storage tanks store a diverse variety of liquids used in the refineries, petrochemical plants, oil depots, marketing terminals and fuel storage tanks at power plants. Tank integrity can be a major concern since any failure can be resulted in environmental impact and loss of stored materials. 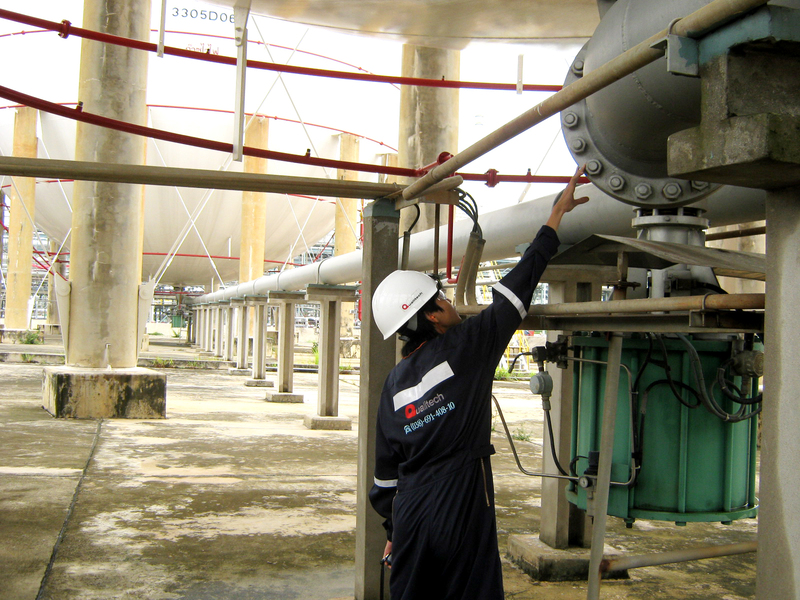 Qualitech as a DOEB Level-3 registered company provides a variety of tank inspection methods and assesses tank integrity based on customer specific requirements, codes and local regulations by the API 653 Certified Inspector. In addition, Qualitech provide tank cleaning service for both oil tank cleaning and chemical tank cleaning.